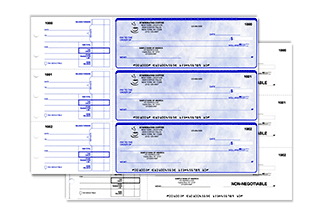 Computer checks are basically printable checks that you can use for your business. 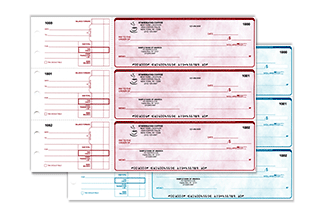 Unlike the older checks that you can buy from your bank, computer checks are more convenient and offer a high degree of customization. 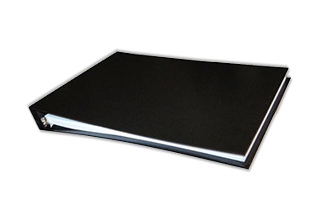 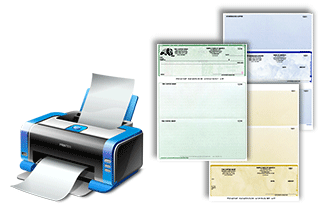 For instance, you can have your company logo imprinted on them as well as print all the information required for the receiver to complete the payment, thus no more writing! 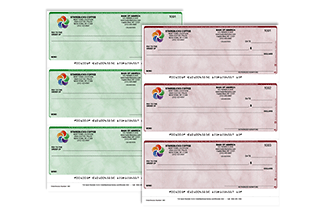 High quality looking checks complete with your business information, business colors and business logo increase the perception of your company in addition to giving you a convenient and easy way of making payments. 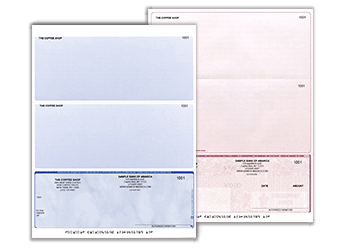 Wouldn’t you like it that every check that came from your business told the world about your company? 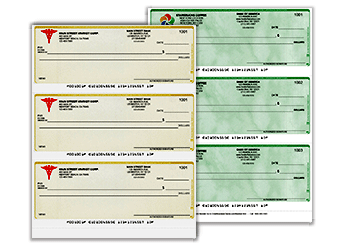 What is even better, you don’t have to worry about security as each of these checks are unique and they can’t be copied or compromised in any way. 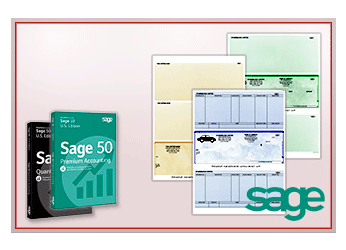 The security features can as well be customized to uniquely feature your company’s details and any other additions that you would like. 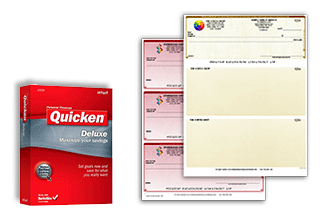 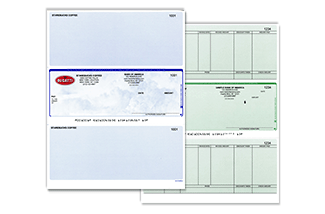 Laser Voucher Top checks – these are vouchers printed with the check at the top of the page; then two stubs thereafter to complete the page (check-stub-stub). 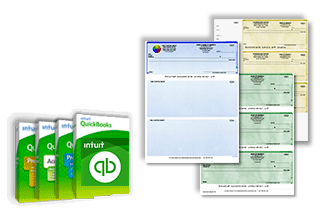 They are the most popular type of computer checks among businesses because they are compatible with a large range of software (they, however, work the best when coupled with Intuit QuickBooks/Quicken) and also because they offer multi purpose voucher checks with two stubs included. 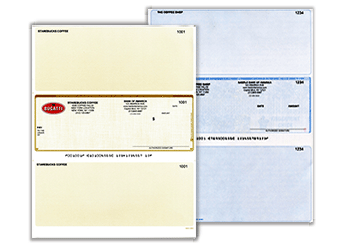 With this type of check, a copy can be retained for personal records while the other is given to the vendor. 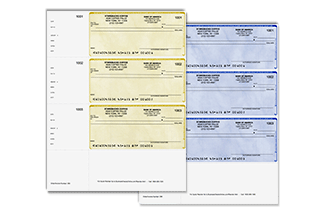 Using these checks, you also get the chance to work with all text styles, colors and they are generally very flexible when it comes to customization. 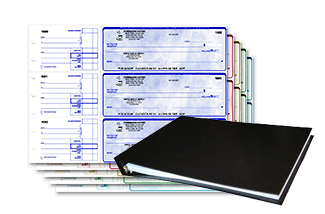 They also offer the ability to track payroll and accounts. 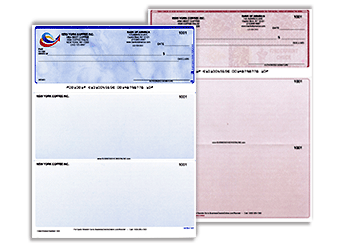 Middle checks – these have two stubs sandwiching the check at the middle of the document, with the top stub for personal (or company) record keeping while the bottom stub is given to the payee. 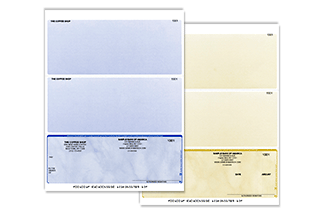 They are of high quality but cheap, and our online design tools make it easy to use. 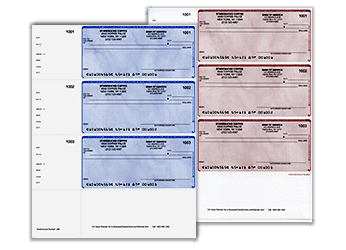 Laser Wallet Checks – these are most popular for personal use and are compatible with a variety of software. 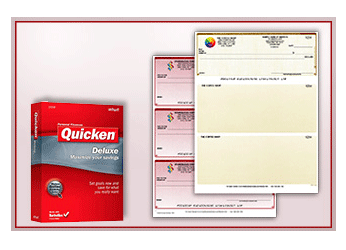 They have a stub to the left hence promote easy record keeping. 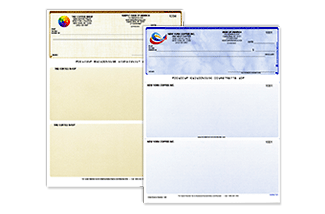 Computer checks are highly convenient and offer huge customization with many color options in addition to being very secure. 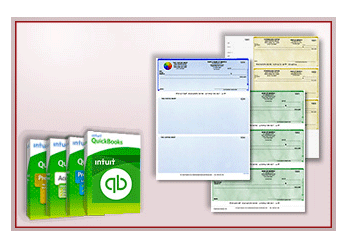 Get your computer checks from us and enjoy the convenience that comes with them.